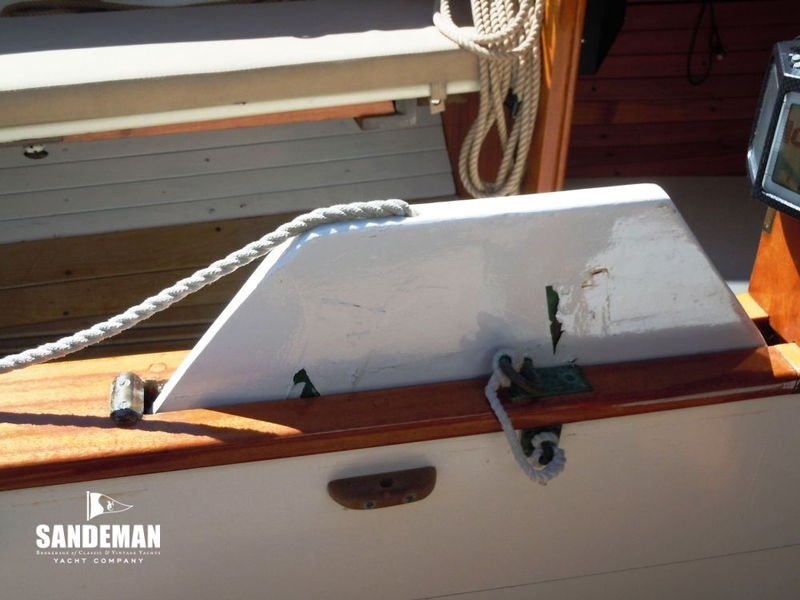 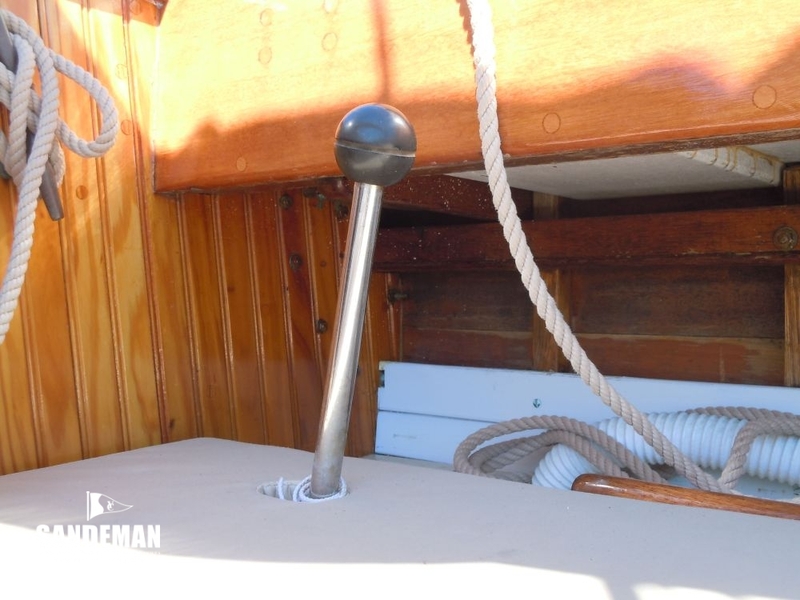 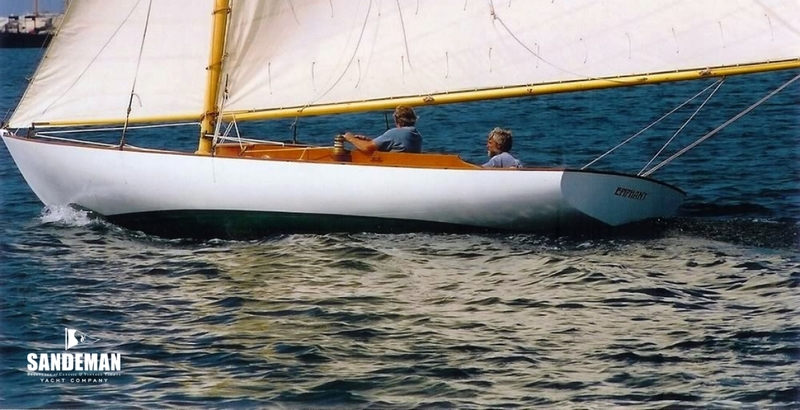 Designed in 1914, the Buzzards Bay 25 with its moderate overhangs, hollow bow and relatively high freeboard for the time - as well as excellent wood engineering - was Nathaniel Herreshoff's perfect response to the call for an easy to sail day racing and sailing boat for the shallow and often choppy waters of Buzzard's Bay: light enough to be fun to sail, but strong enough to hold its shape. 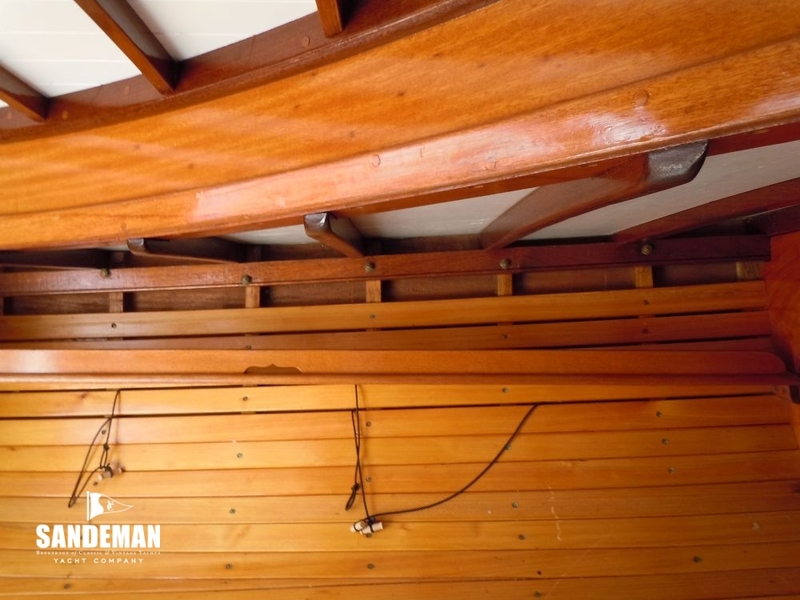 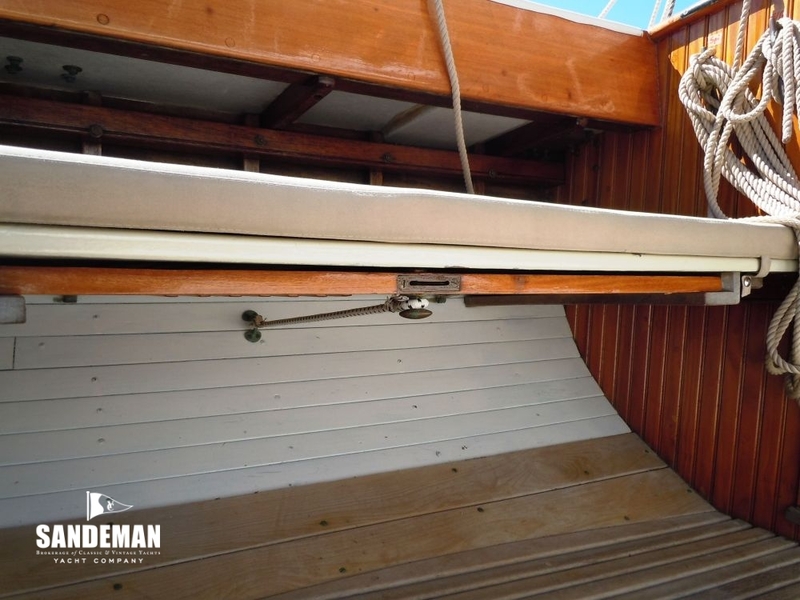 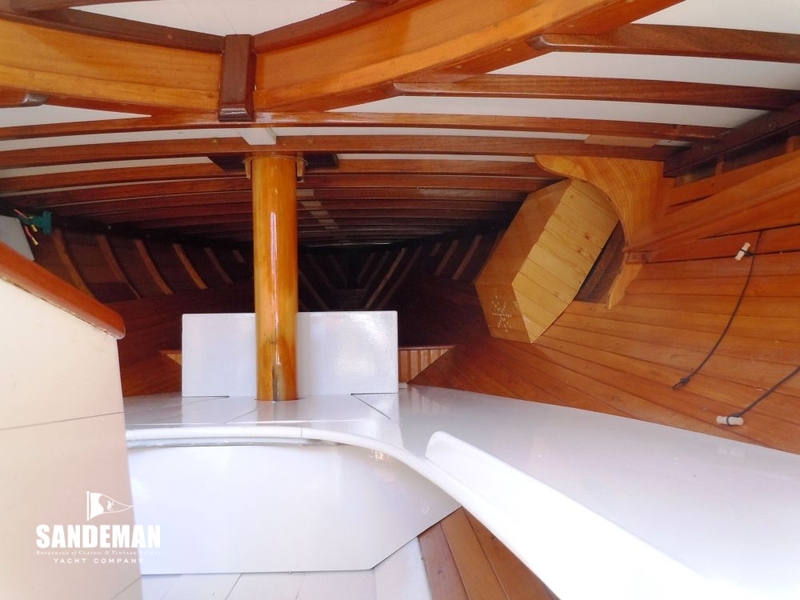 The "Wizard of Bristol's" answer is one of the finest boats of its type ever designed. 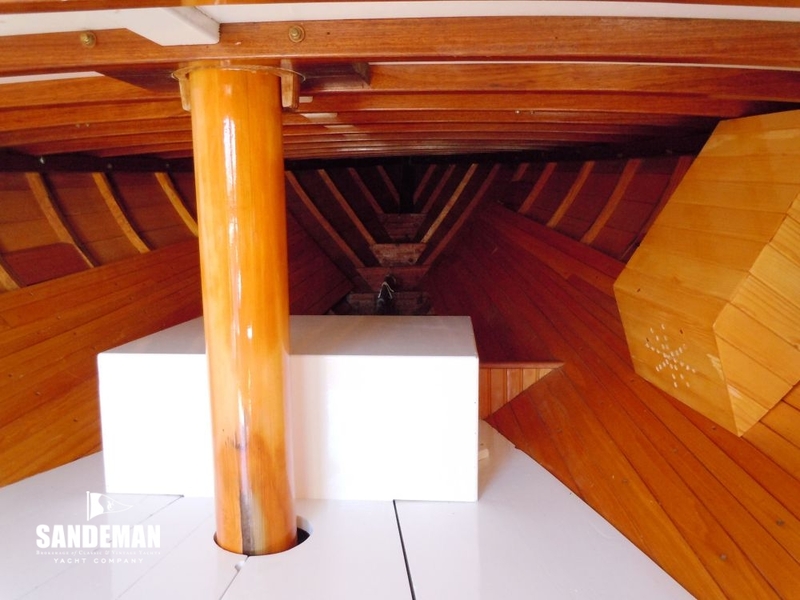 The big surprise is that only five were built originally - but a major war did get in the way. 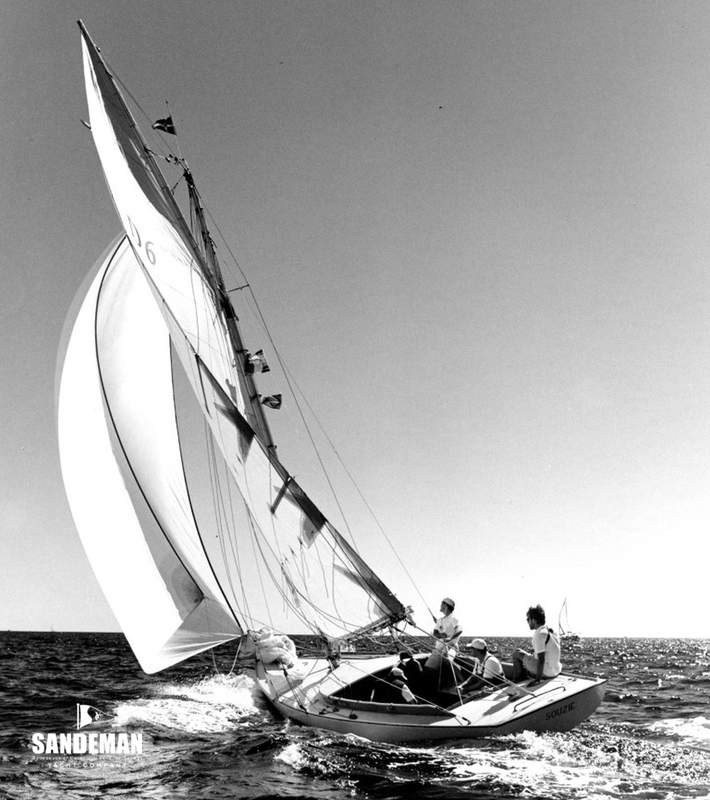 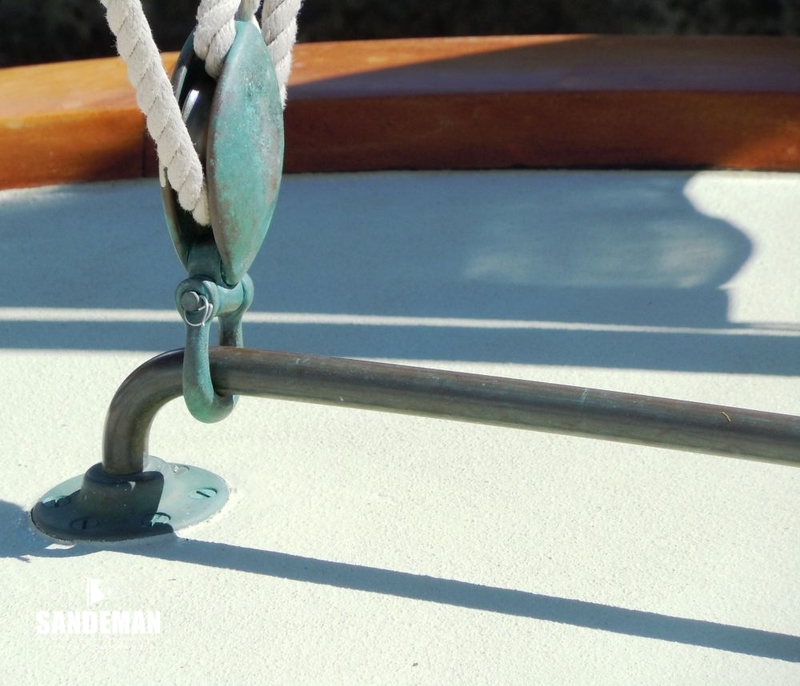 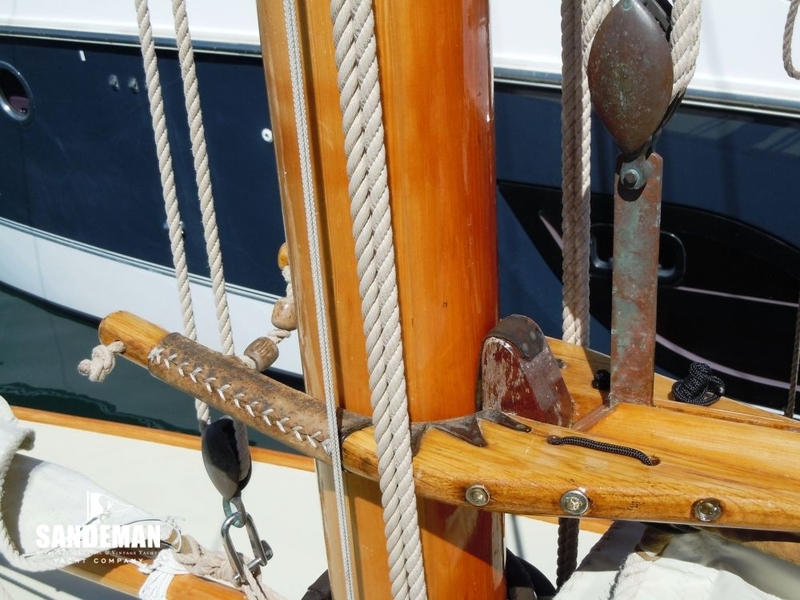 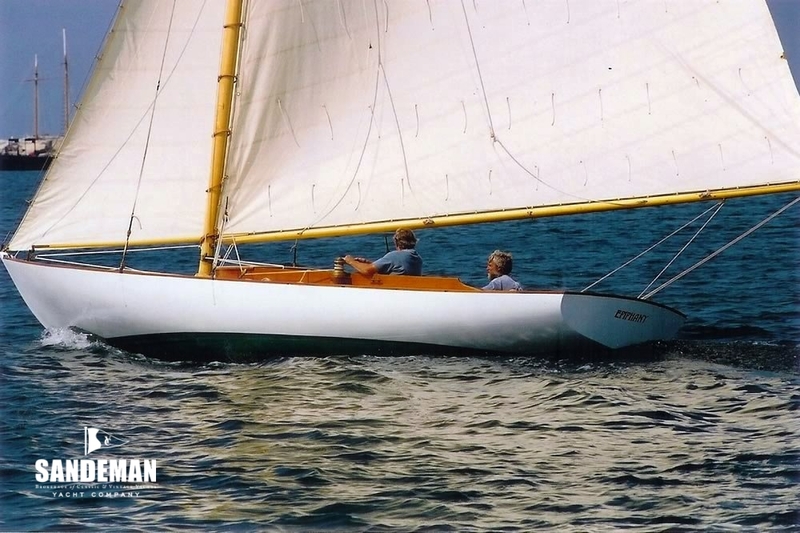 Such has been the recognition for the design during the 1980s and onwards classic yacht revival that more boats have now been built to Herreshoff's drawings than were built in his lifetime and SOUZIE had the good fortune to be built true to Herreshoff's original carvel plank-on-frame specification by the renowned Gannon & Benjamin yard on Martha's Vineyard. 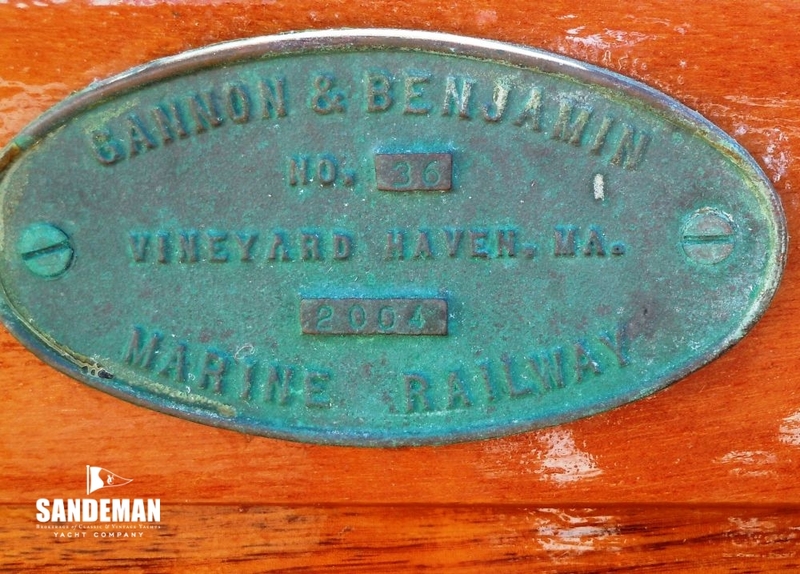 Built by Gannon and Benjamin Marine Railway, Martha’s Vineyard, USA, as Yard No. 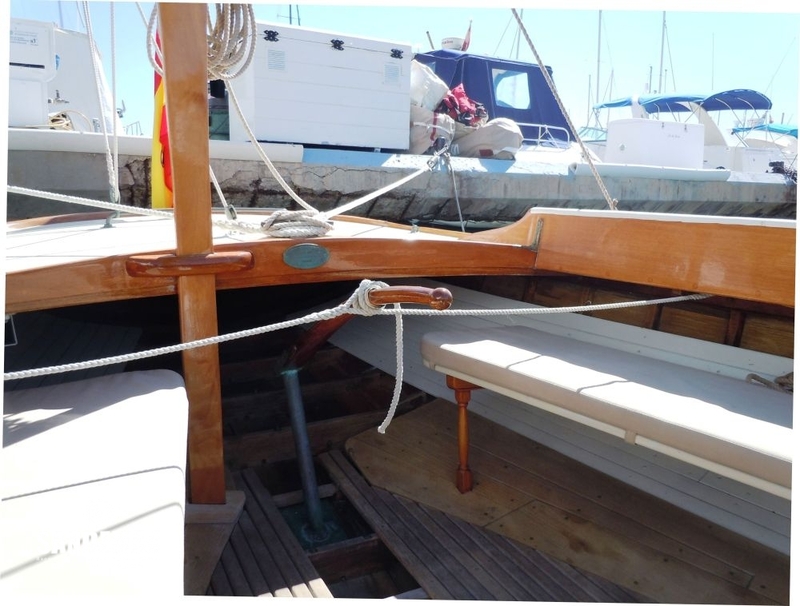 36 to the order of James Wolosoff, she was named EPIPHANY at launch and had been built from step by step plans provided by the Hart Nautical Museum at M.I.T., who also supplied a certificate of authenticity. 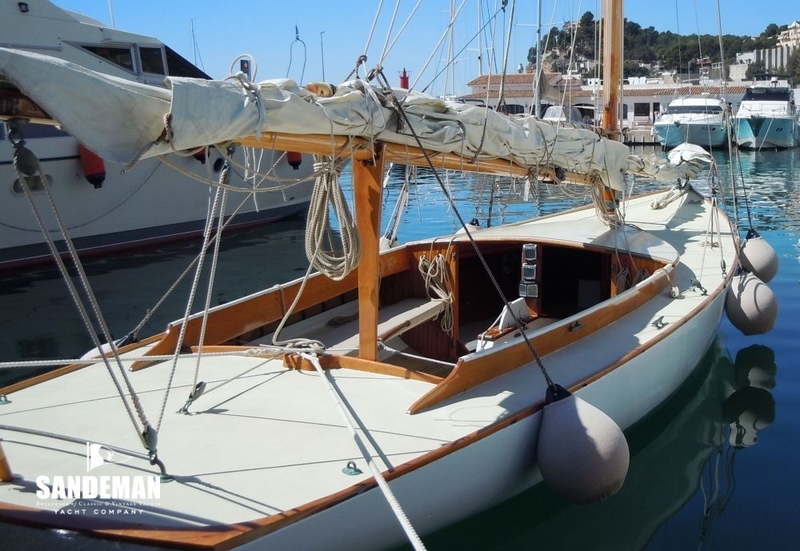 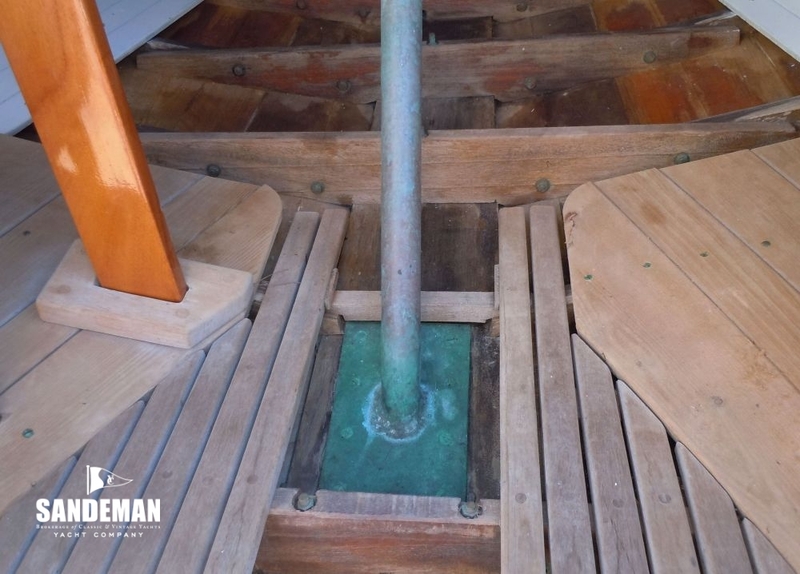 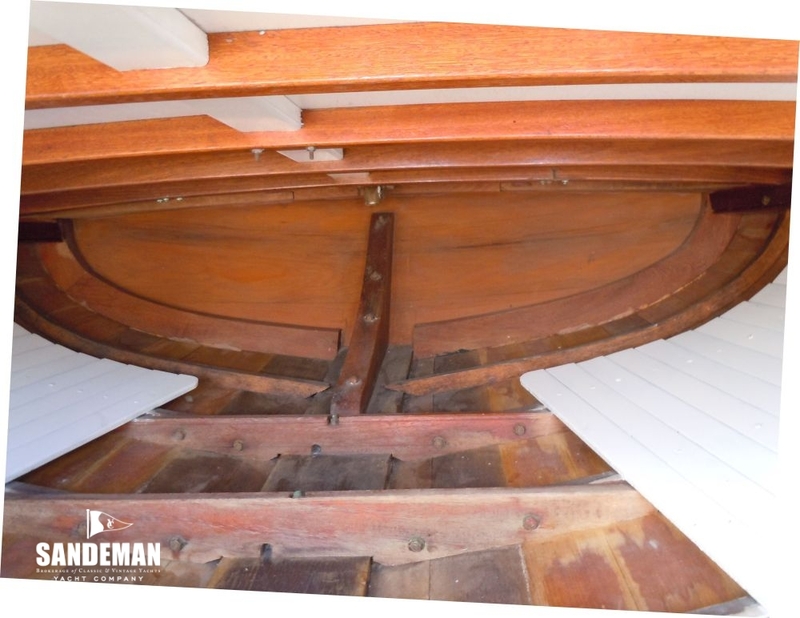 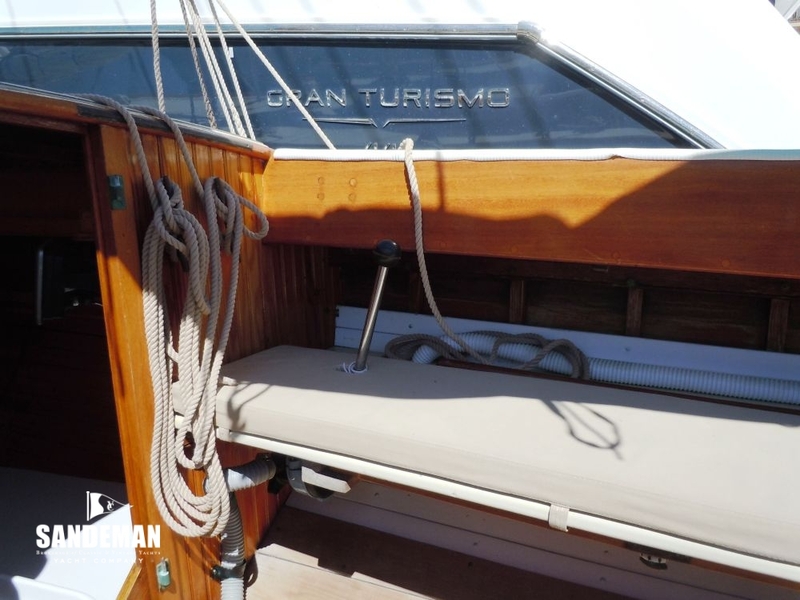 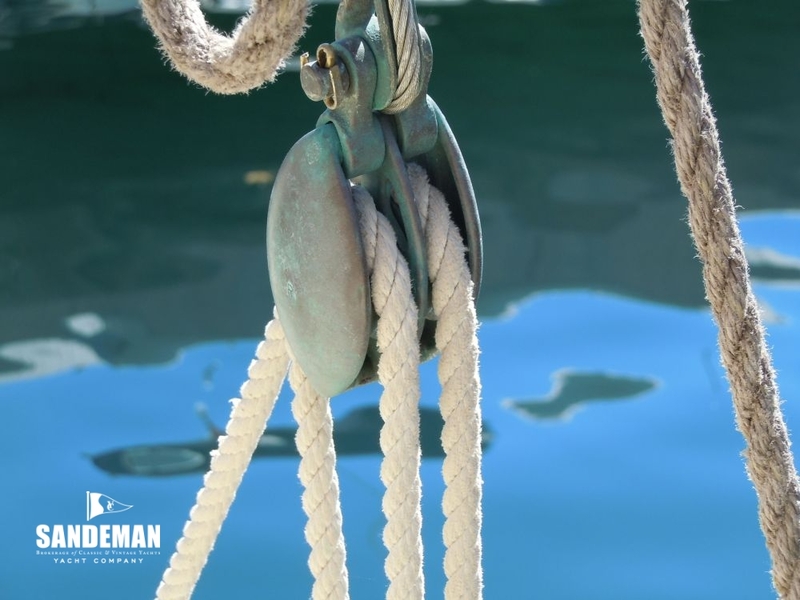 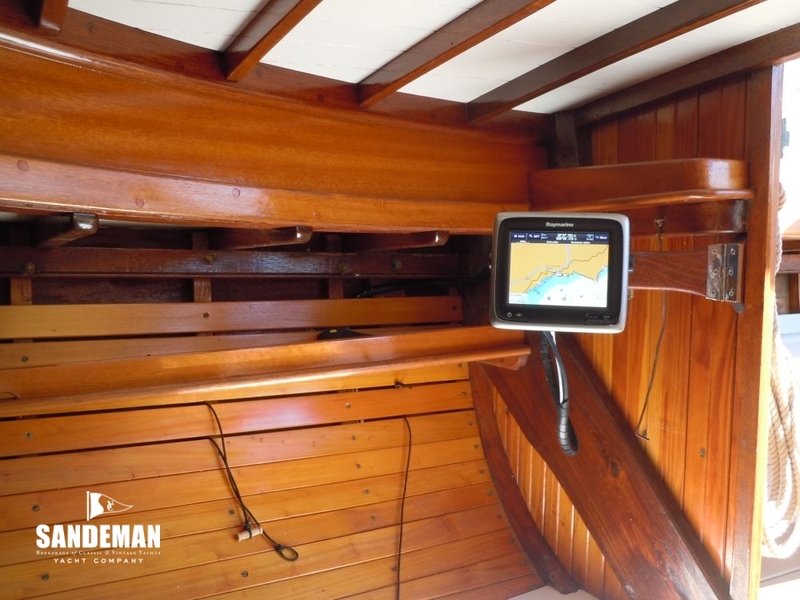 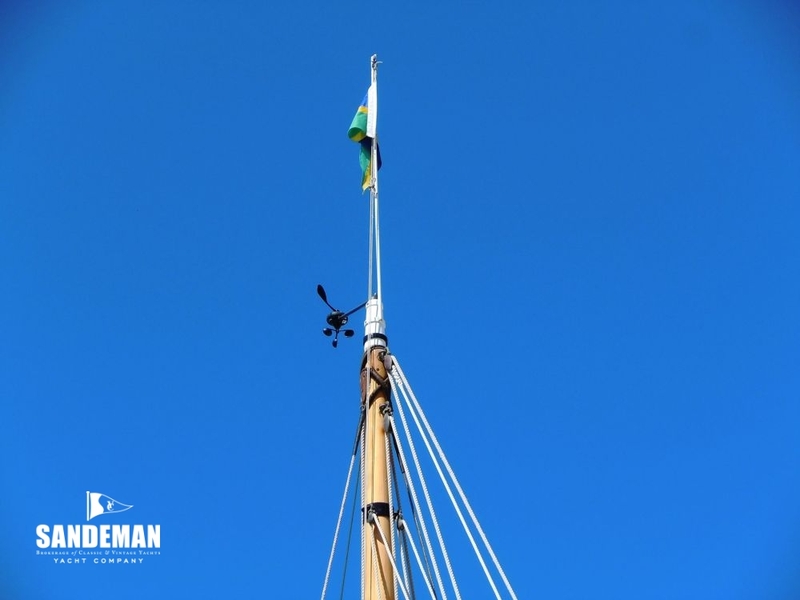 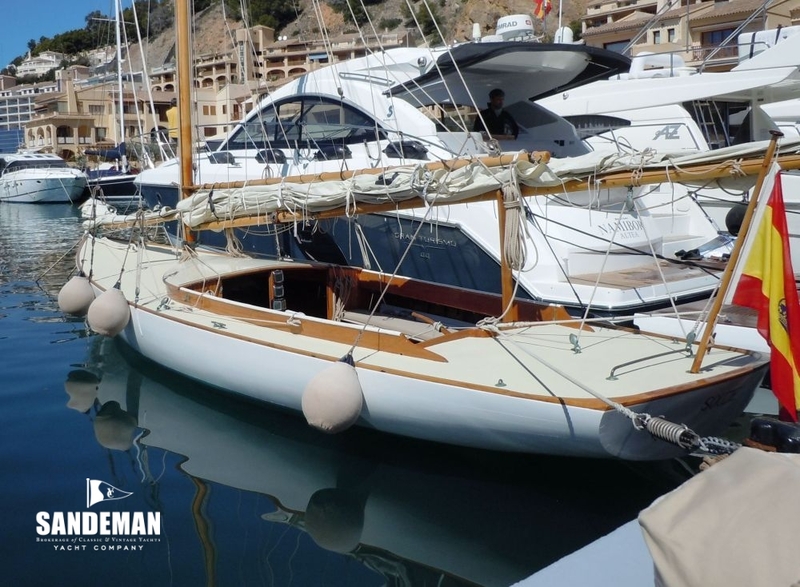 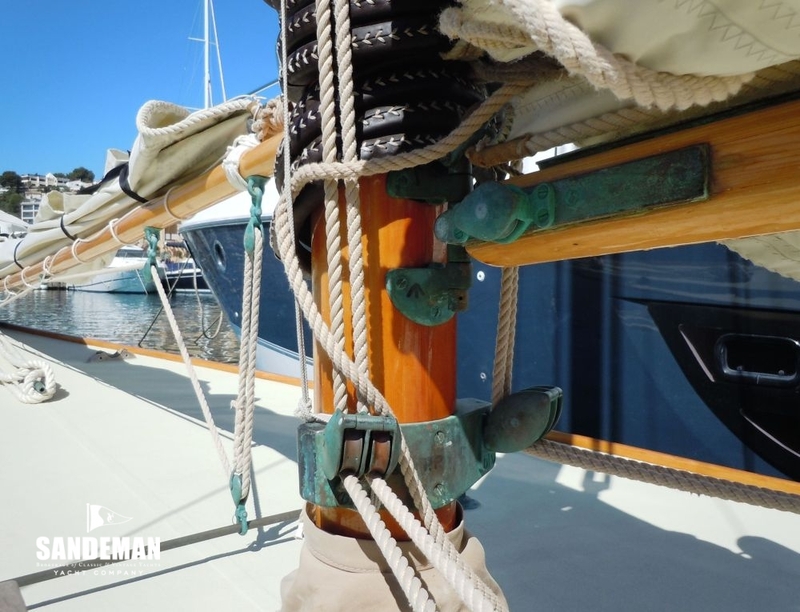 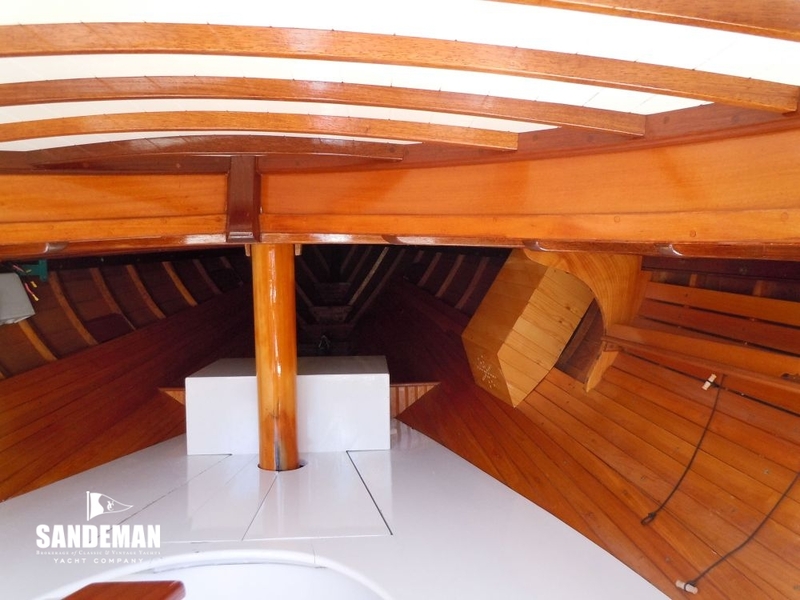 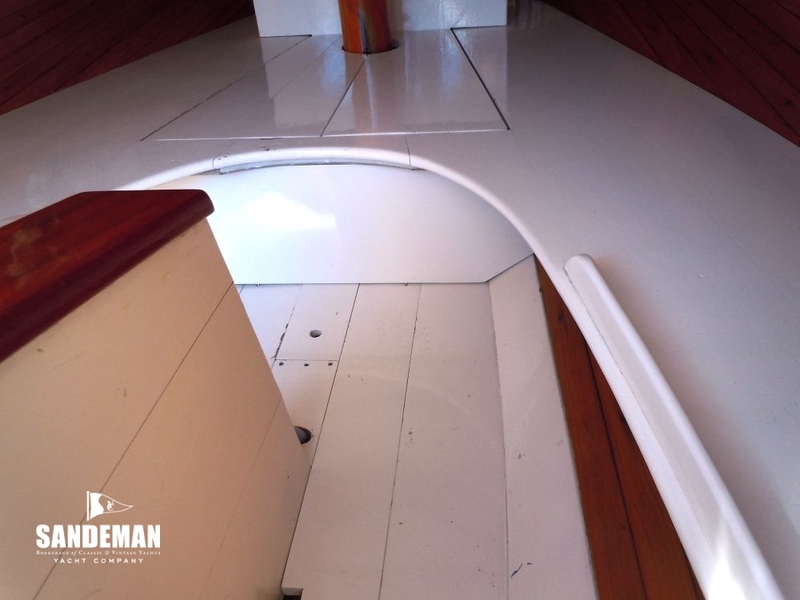 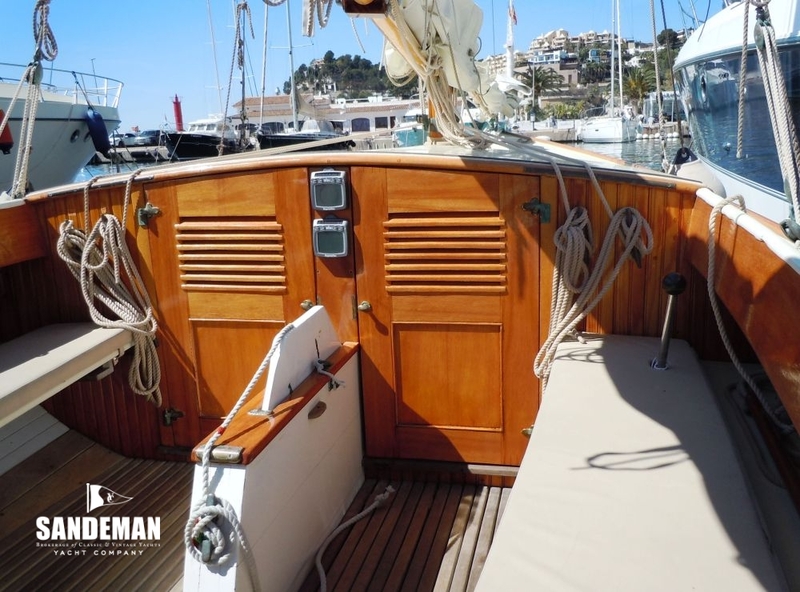 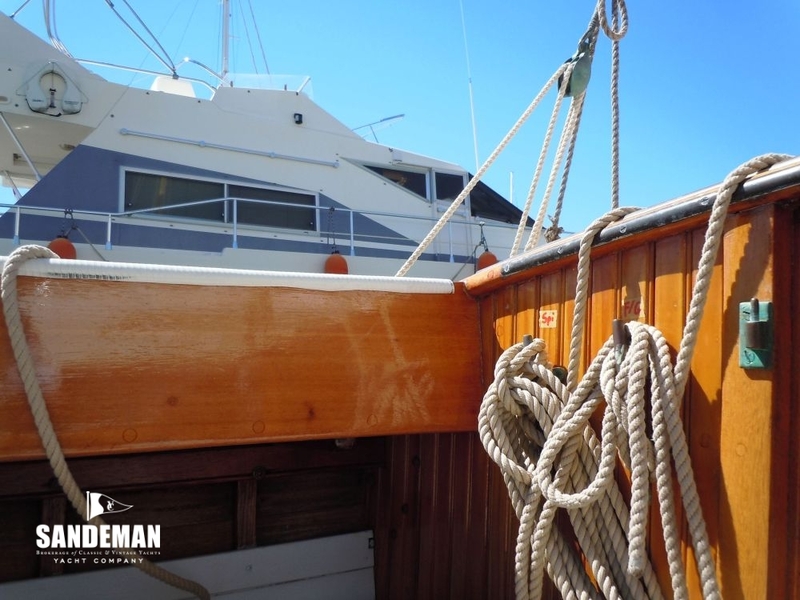 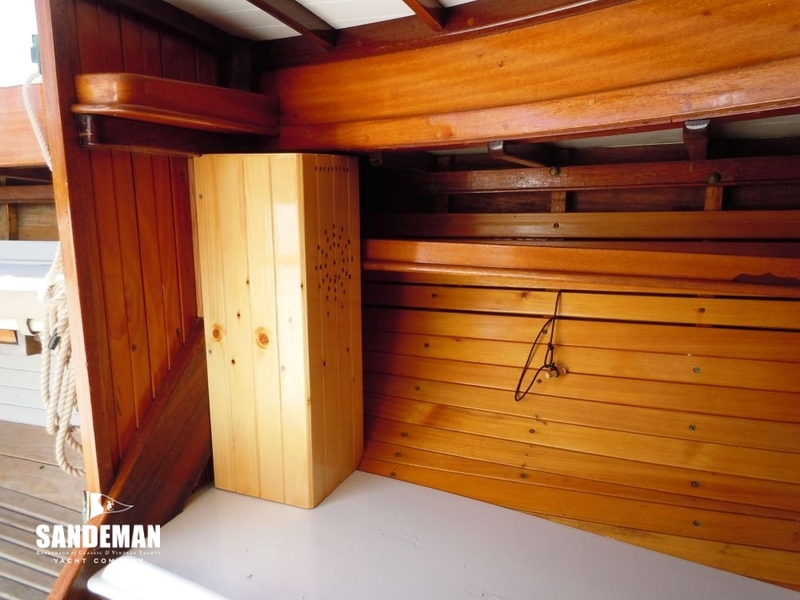 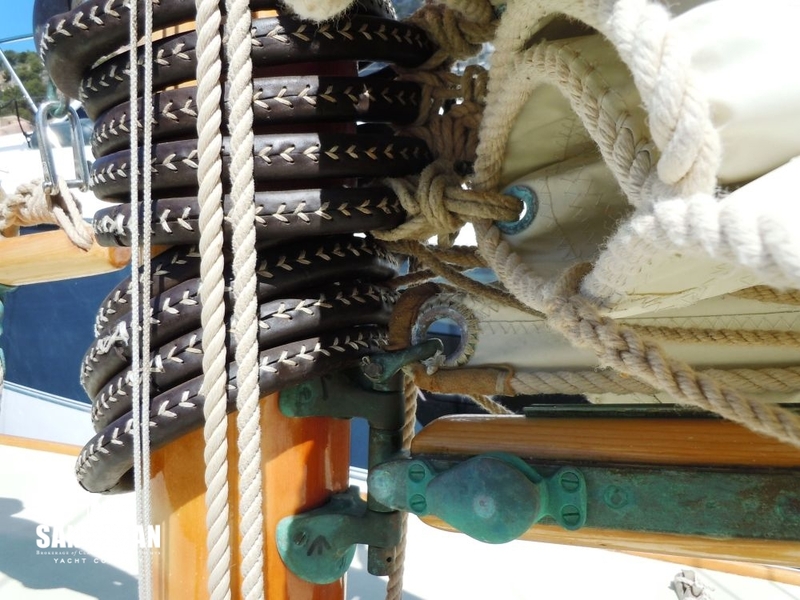 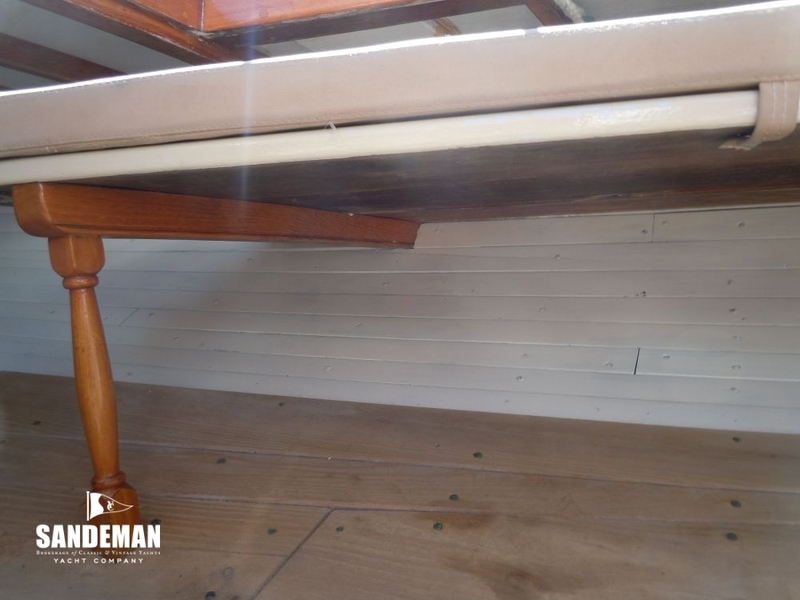 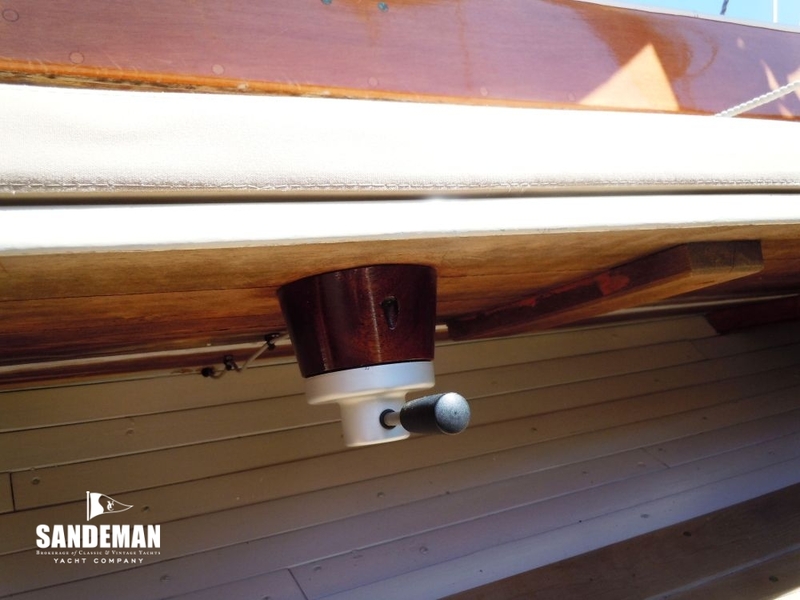 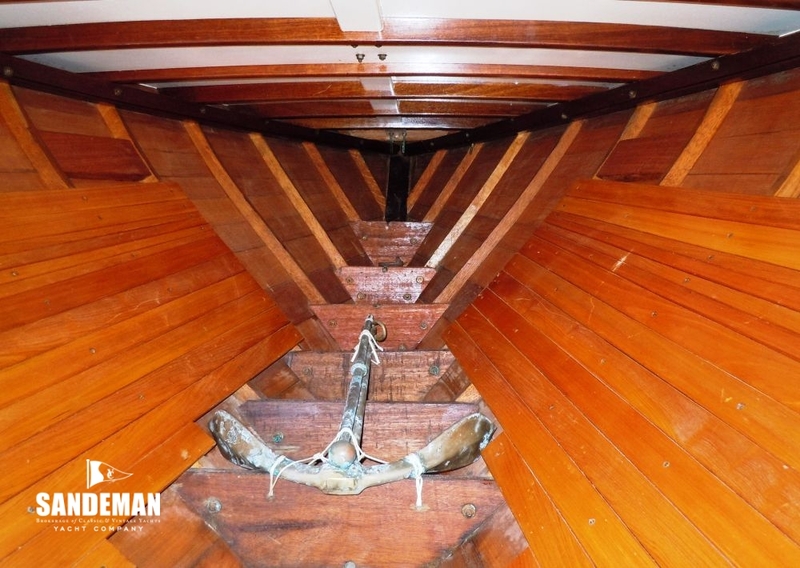 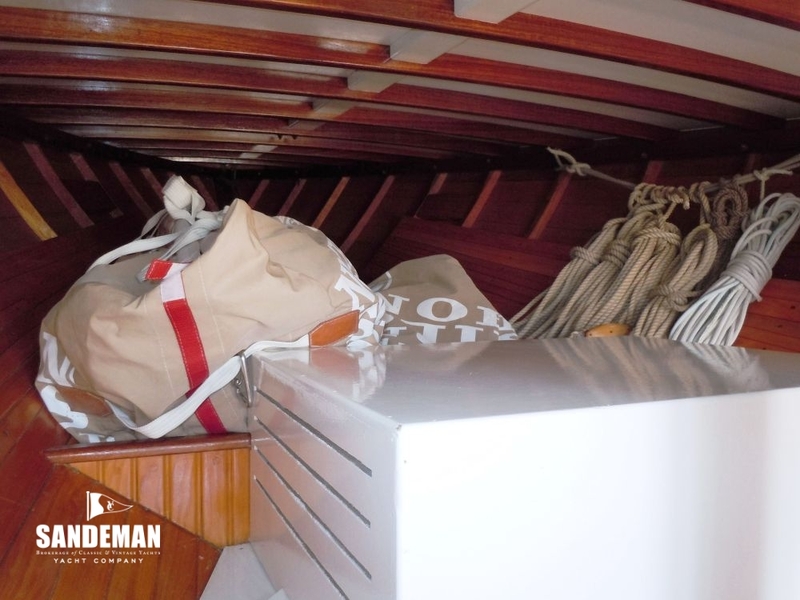 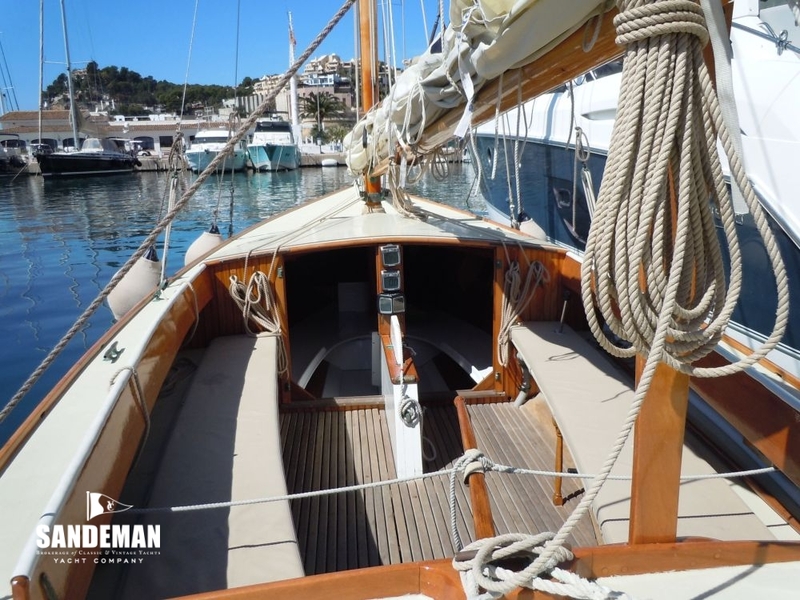 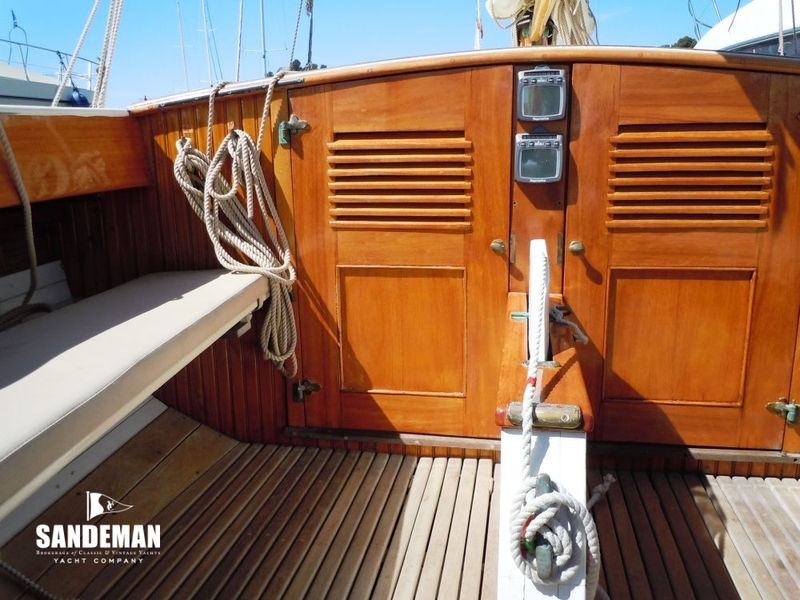 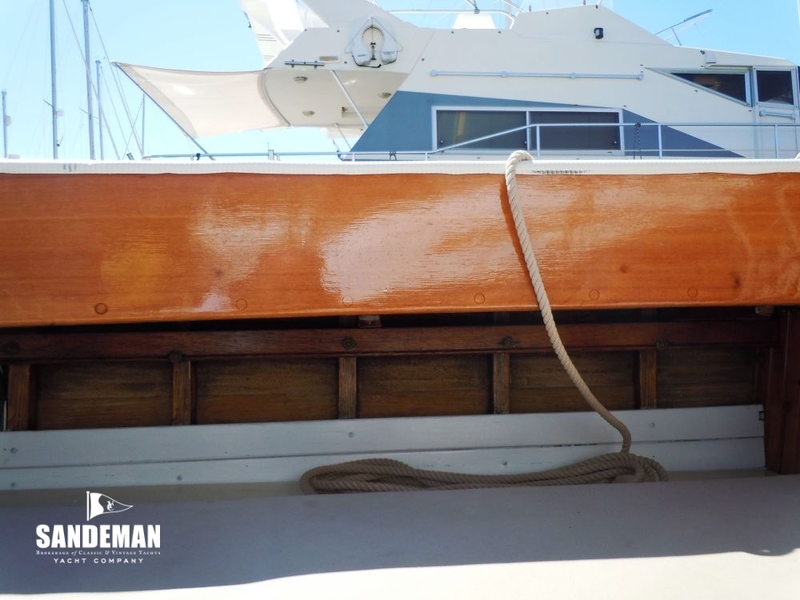 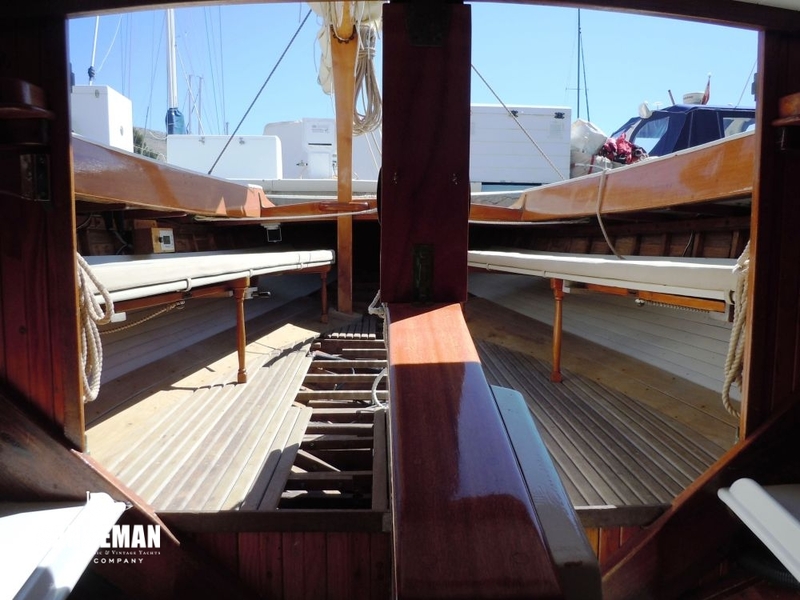 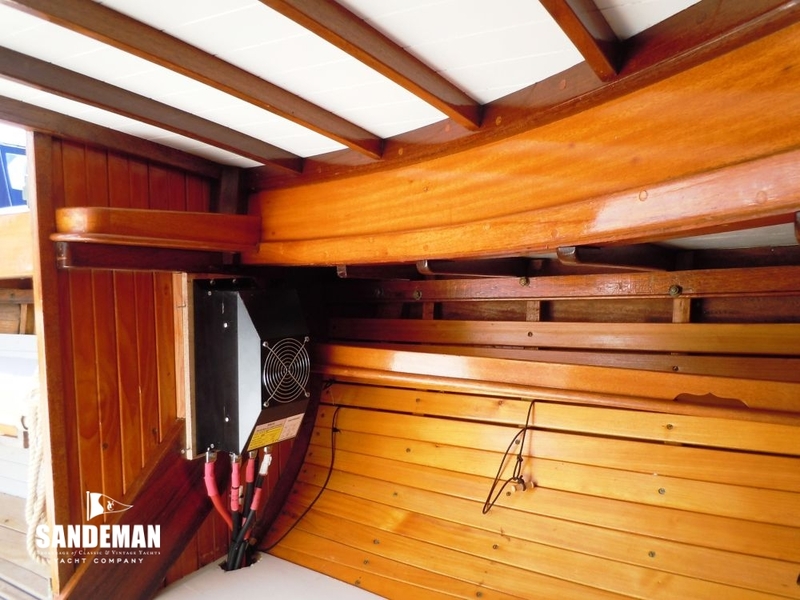 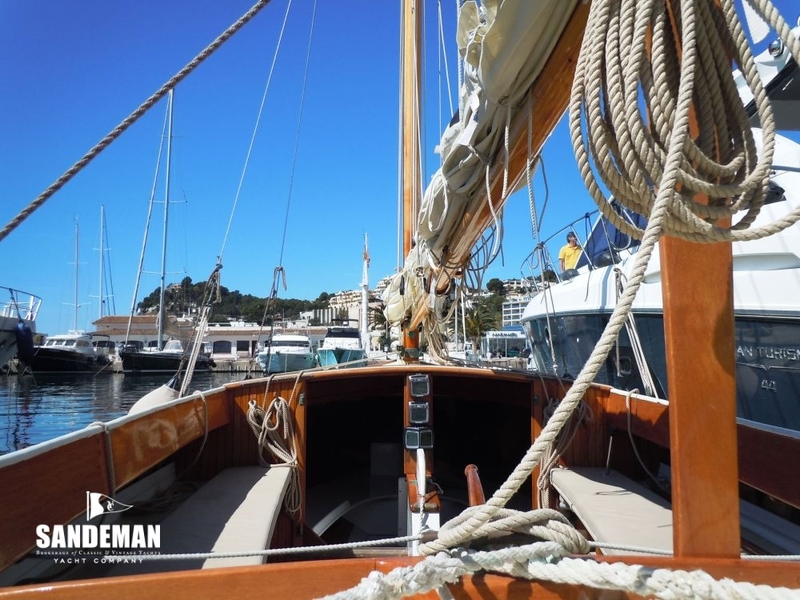 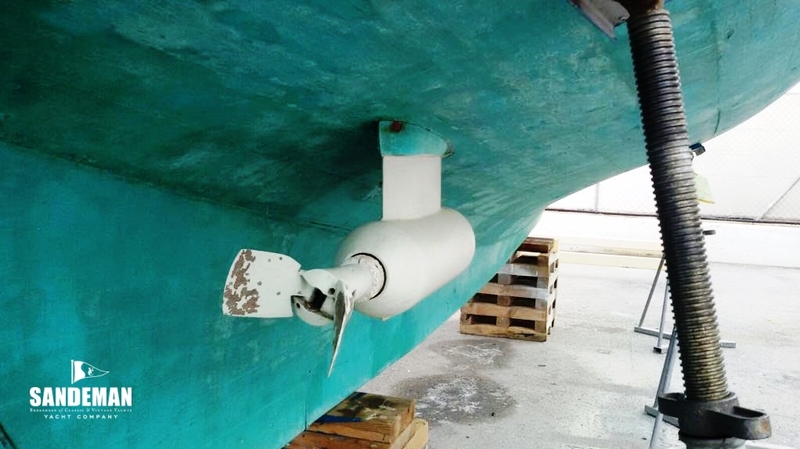 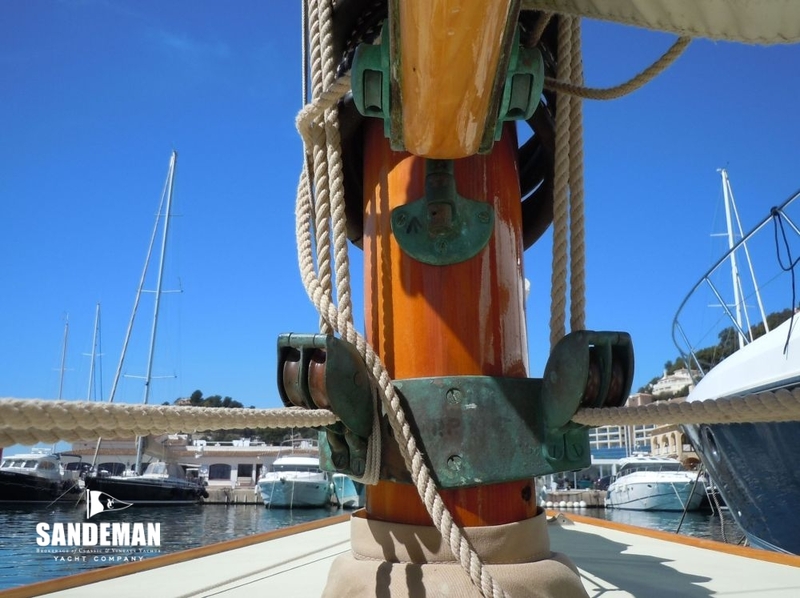 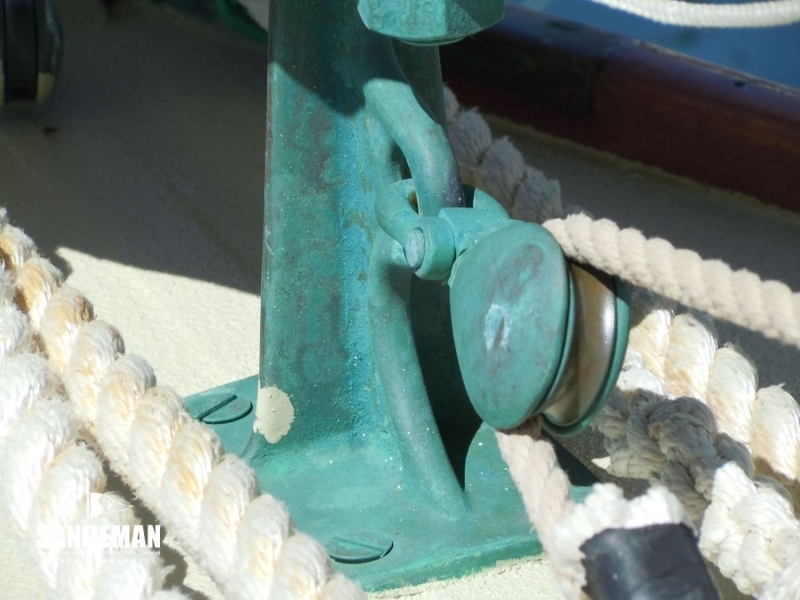 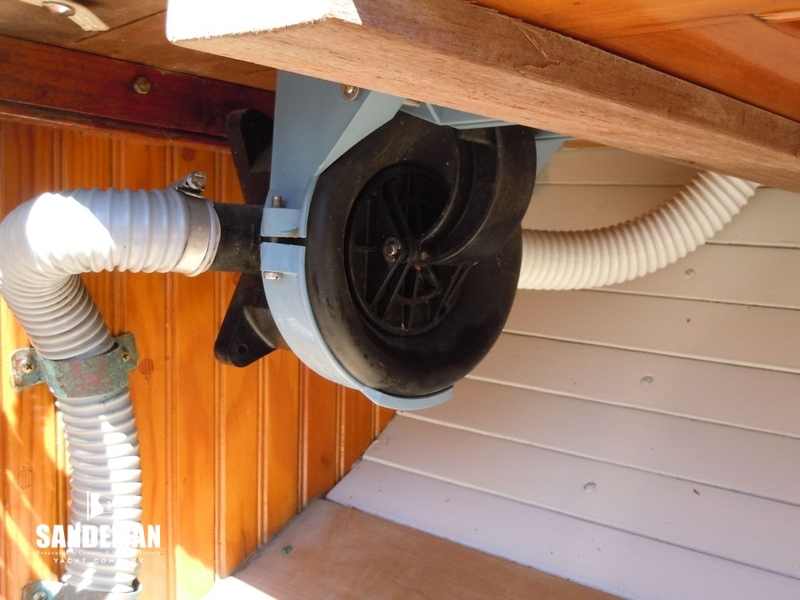 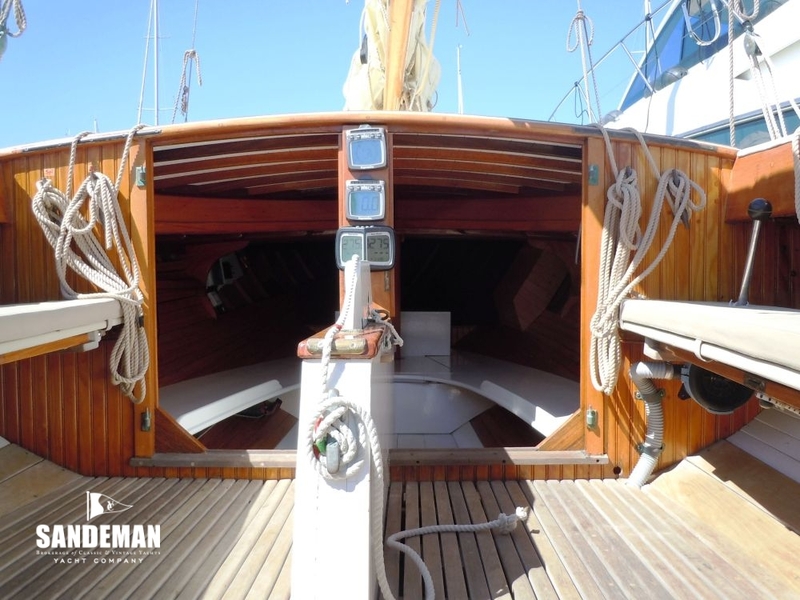 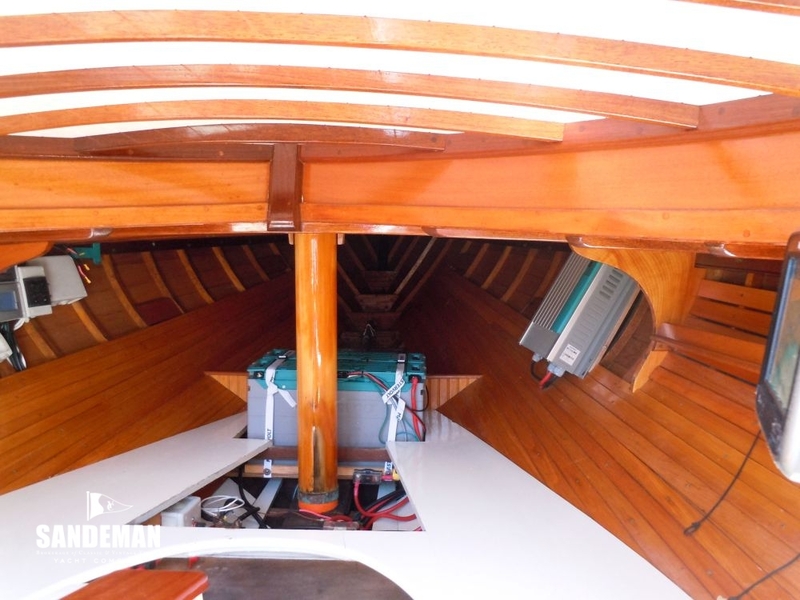 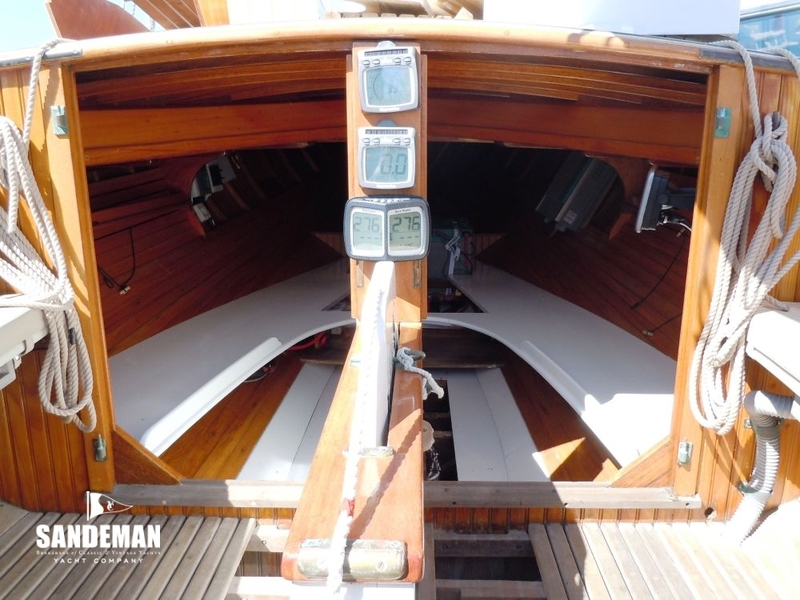 On passing into present ownership in 2013, a complete and flawless refit was undertaken by the original builders followed by shipping to Spain in 2014. 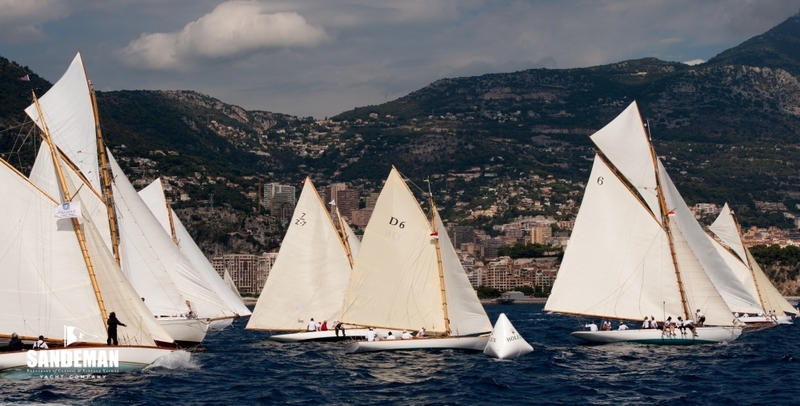 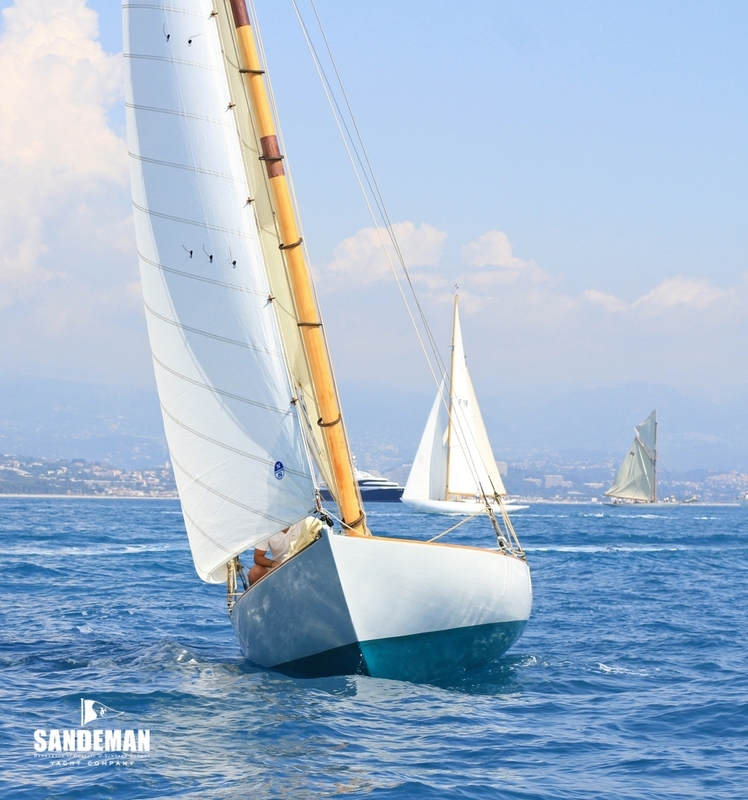 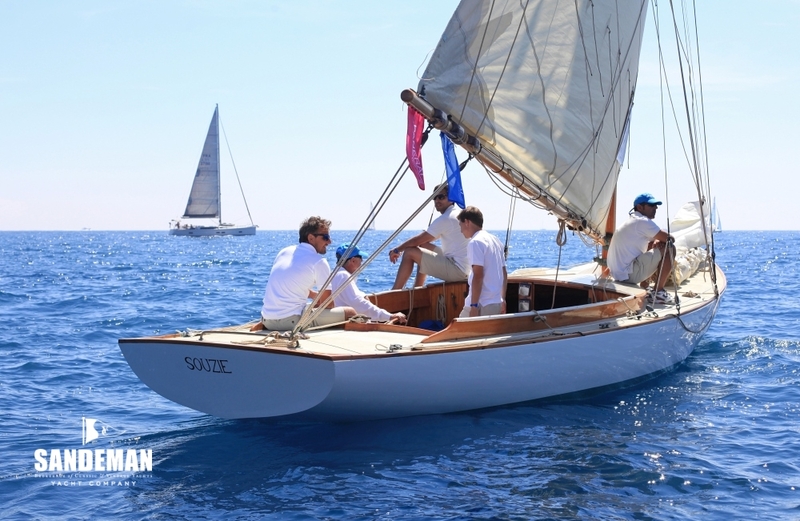 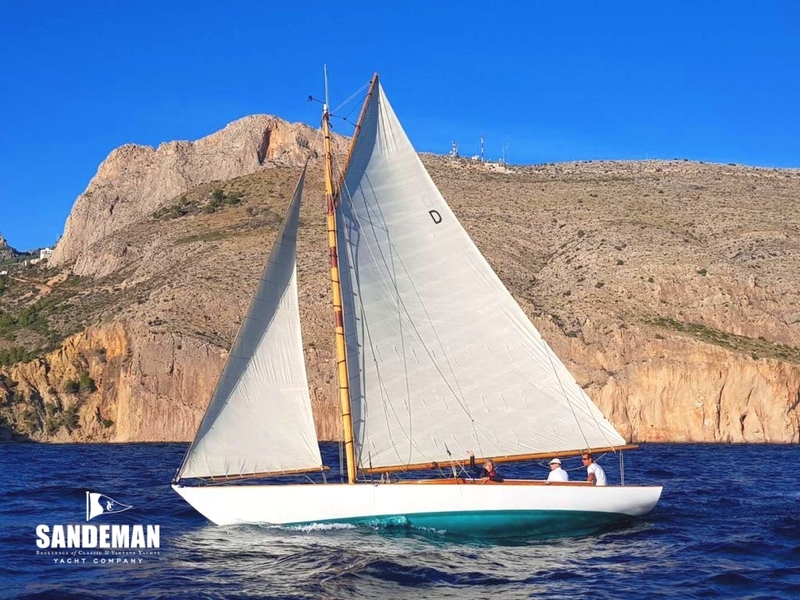 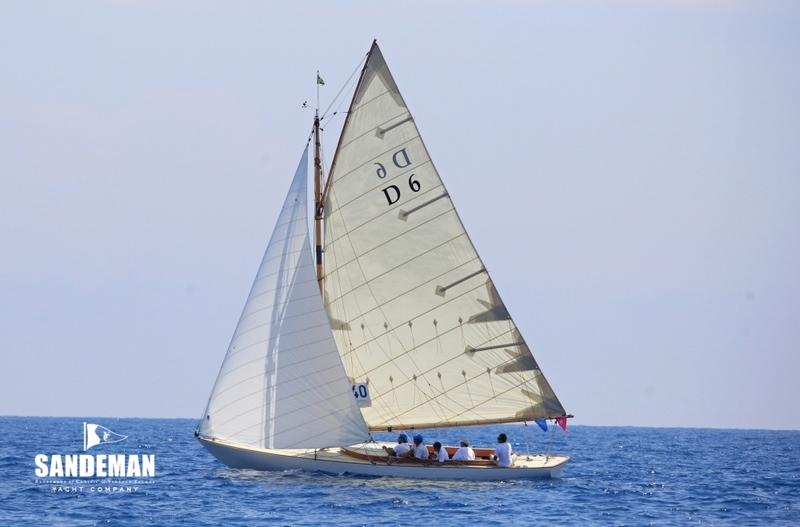 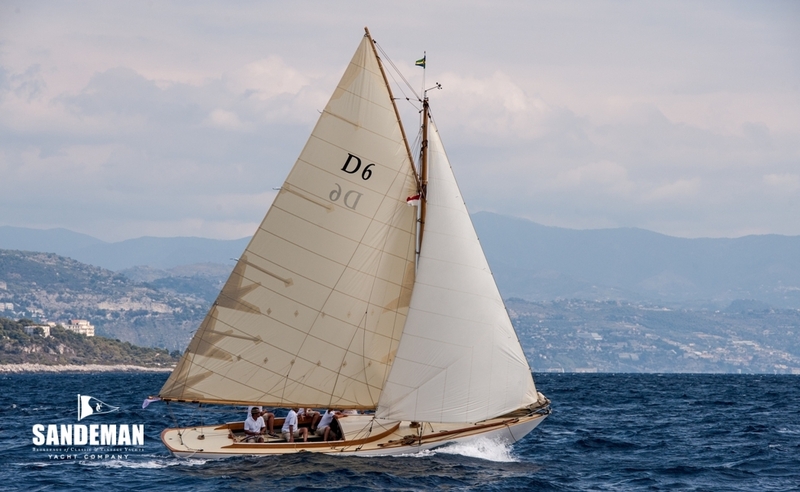 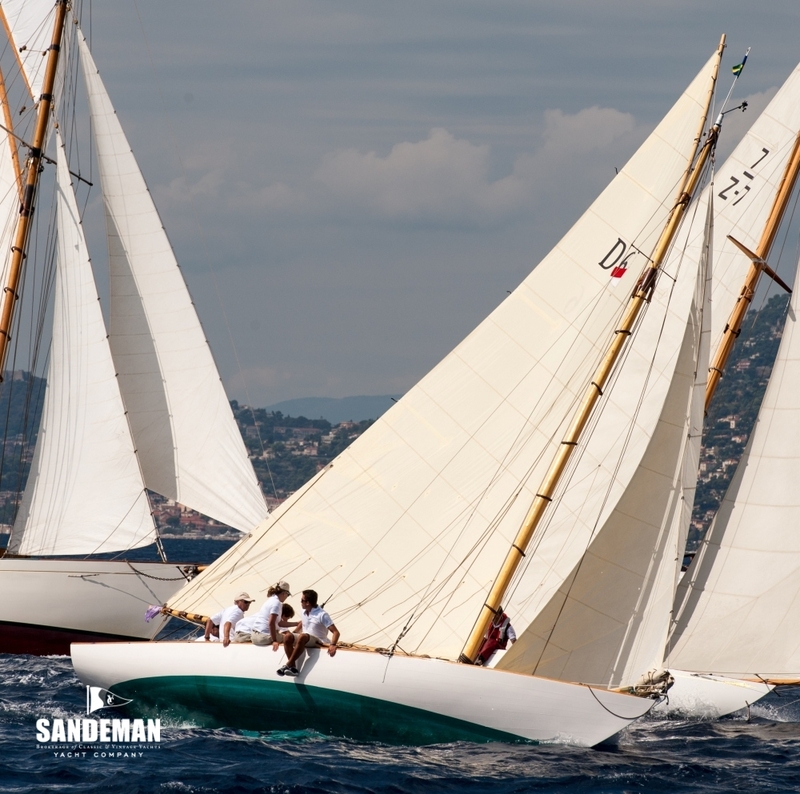 As SOUZIE, she joined the Mediterranean classic regatta circuit in 2014 with a Vintage Yacht Replica Certificate and has been a regular for three seasons at Les Voiles d’Antibes, Monaco Classic Week and Cannes Régates Royales.